The Cretaceous period, particularly the latter half of it, is what many of us may think of as the 'T-Rex era.' It is indeed the specific tract of the Earth’s history in which those massive, predatory dinosaurs were most likely to exist. However, without research on other species that lived at that time, that is all it will ever be to us. Even though discoveries such as ‘Sue,’ the T-Rex skeleton, are valuable and relevant in their own right, they can only tell us so much about the world around this dinosaur in isolation. What Else Lived in the Time of T-Rex? Now, a new fossil may be poised to deliver some of this extra dimension to the late Cretaceous (or Maastrichtian) period. It is, surprisingly enough, not another dinosaur. These remains indicate the existence of an early form of shark that lived during this period, alongside individuals of the Tyrannosaurus Rex species such as Sue. The species extrapolated from this new discovery has been named Galagadon nordquistae: the world’s oldest, newest marine animal. Where Did the ‘New’ Old Shark Get its Name? 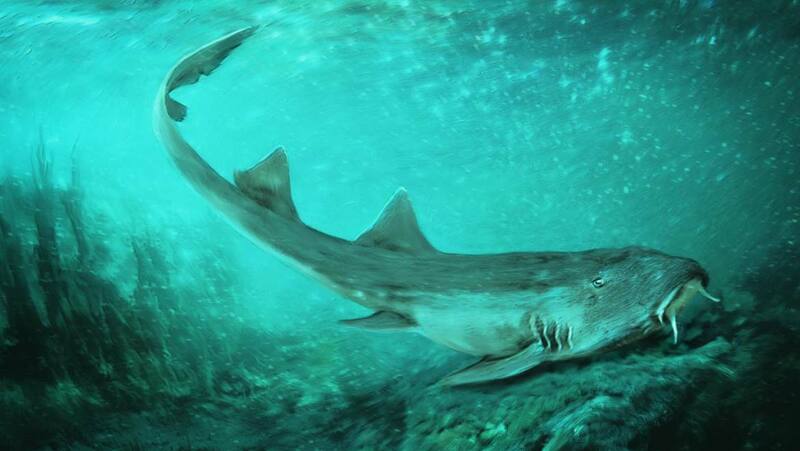 The new Cretacean shark has been named Galagadon in connection to the fossil that remains associated with it. It is, in truth, some tiny teeth that have been found to belong to a single species following its thorough study. The teeth were included in a large cast of material around the remains of Sue, removed from the ground in a kind of wholesale manner in order to protect this important fossil prior to its own investigation. After this work on Sue had been completed, archaeologists and paleontologists were finally free to work on the other artifacts taken away with Sue - this included the Galagadon teeth. It was thought to evoke the classic arcade game, Galaga, in that, with its single high central point, it resembled the ‘player’ and ‘enemy’ spaceships, which have to shoot each other down in order to win. The species name is derived from that of the museum volunteer who found them, Karen Nordquist. Are Galagadon’s Descendants Still Here? These teeth, which are about 24 in number, helped scientists determine that the new species was related to two others only known through fossils: Cretorectolobus olsoni and Cederstroemia triangulate. However, their morphology also indicated that they could be related to a family of sharks that are alive today. They are the orectolobiforms or carpet sharks. At a couple of meters long or less, these animals may be small compared to the typical, popular ‘shark’ image. Nevertheless, an increasing body of evidence indicates that sharks of this size existed as far back as the late Maastrichtian period. This means that the general phylogenetic group that incorporates sharks and rays (the chondrichthyans) has been around for about 400 million years. It now appears that Galagadon nordquistae may have colonized inland river waters, at around the same time that Tyrannosauri like Sue may have been walking along their banks. The characterization and categorization of Galagadon nordquistae were accomplished by researchers working at the Department of Biological Sciences at North Carolina State University, Raleigh, and the Department of Geology at the Field Museum of Natural History in Chicago. 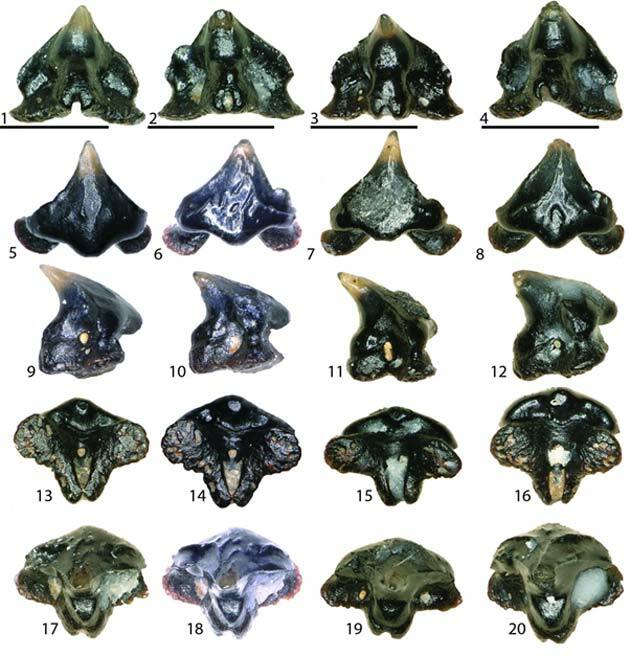 They used Bayesian inferencing and the phylogenetic technique, Maximum Parsimony, to determine where the new shark species fell among the orectolobiforms, past, and present. It seems that these small sharks made a transition from origins in the seas of the early Earth to fewer open waters by migrating from island to island until they had moved from the proto-Pacific into what would one day become the North American landmass. How did Galagadon Relate to Cretaceous Dinosaurs? This, at least, is one new theory that the researchers have been able to develop as a result of examining the remains of Galagadon nordquistae. The other is that orectilobiforms were originally present across the globe and that this species evolved as a result of gravitating towards rivers such as the one in which the fossilized specimen had been found. Interestingly, Sue, the T-Rex is also thought to have lived in the Cretaceous precursor to North America and to have ended up in a river. Therefore, she herself may have encountered Galagadon nordquistae, at least in death. These new findings, as well as future work on them, may improve our understanding of the later Cretaceous, and what life was like during this time on Earth. This, in turn, may inform research on the eons that came after it, including the eras in which dinosaurs disappeared from the Earth. Such insight may help us prevent such catastrophic losses of whole phylogenetic classes again, or cope if this does happen in the future.